At famous Teatro Colón in Buenos Aires Marc Piollet takes over the musical direction of Mozart’s Don Giovanni starting April 05. Last time he conducted this opera at Deutsche Oper am Rhein Düsseldorf. 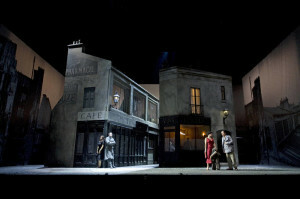 Artistic director is Emilio Sagi, Erwin Schrott sings the title role. There follow five further performances at Buenos Aires (06./08./09./10./12.04.). Marc Piollet was last time at Teatro Colón in 2013 when he gave his house debut with Bizet’s Carmen. Marc Piollet makes his debut in the USA: He is conducting Bizet’s Carmen at Cincinnati Opera, the premiere is on 12th of June. Marc Piollet has conducted Carmen a.o. at Teatro del Liceu in Barcelona, documented on a DVD (Unitel) with a fantastic cast, Béatrice Uria-Monzón, Erwin Schrott and Roberto Alagna, in a production of Calixto Bieito. In Cincinnati we are now looking forward to Alain Gauthier’s production!